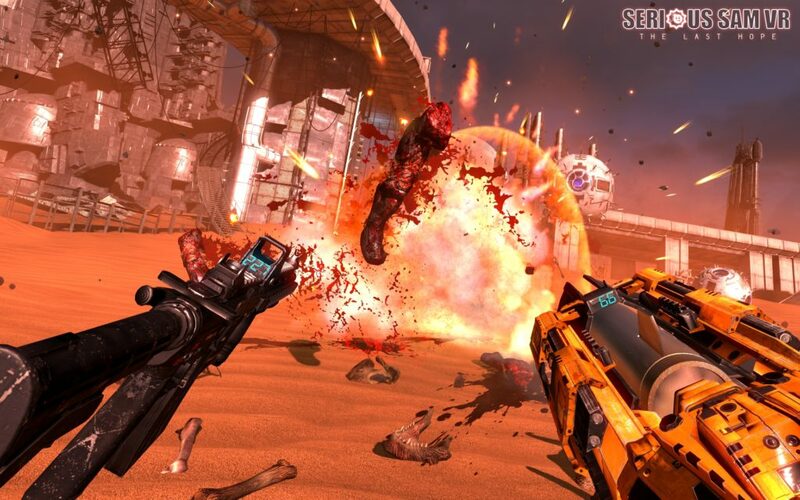 Day 0 @E3 – what’s Serious Sam VR all about? Yesterday was an exciting day @E3 due to many big titles being announced, and it was surely exciting for us at Croteam! 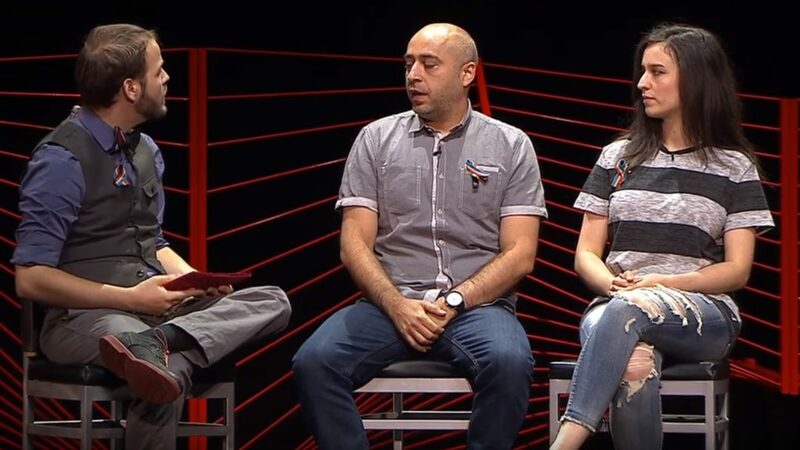 We revealed our VR title – Serious Sam VR: The Last Hope – during the Youtube Gaming Live Show (hosted by Geoff Keighley) as well as at PC Gaming Event (sponsored by AMD) that happened later on, where you could see our beautiful devs Ante and Nika explaining what SSVR is all about. 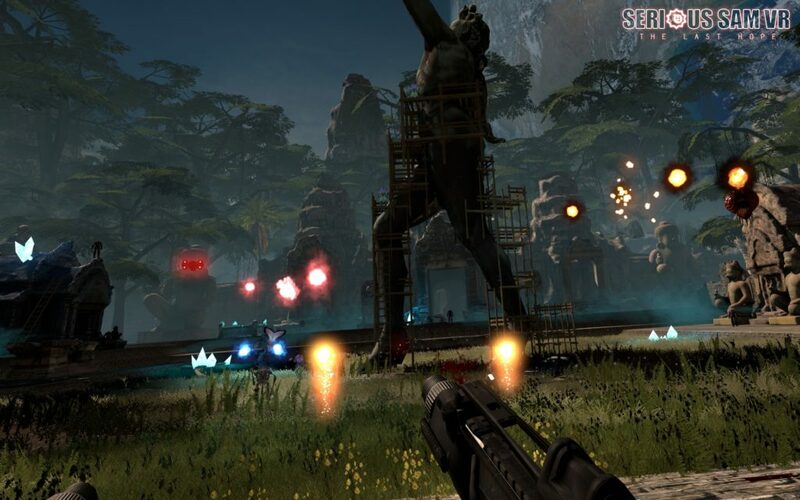 We are also aware that many of you expected to learn more about Serious Sam 4, and after the reveal of SSVR, you wondered what happened to it… Rest assured, we are still working very hard on it and it’s still our prime goal, just like we said it on Twitter. Virtual reality technology has been made available to devs for quite some time now (and recently to the general public as well), and we are very excited about it. We know these are still the early days, but the potential is there, and unlike some other hardware gimmicks that came out in recent years, we are pretty sure this one will stick and make a tremendous impact on the gaming world. 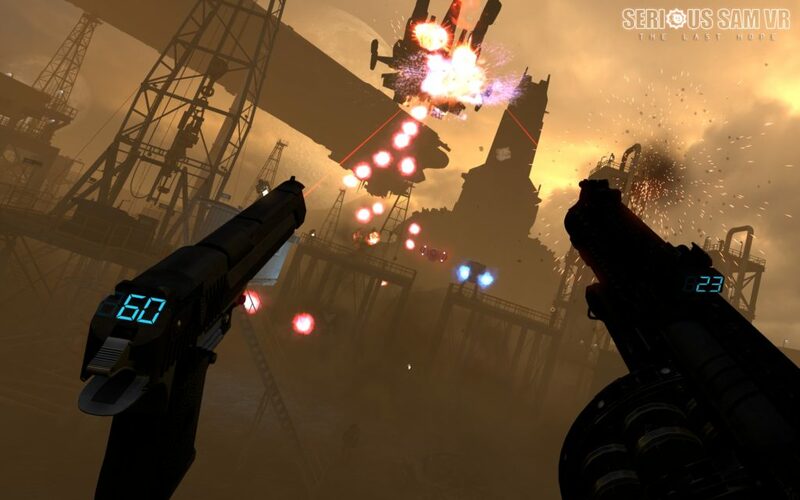 And our serious game seemed like a perfect for VR, but more on that below! 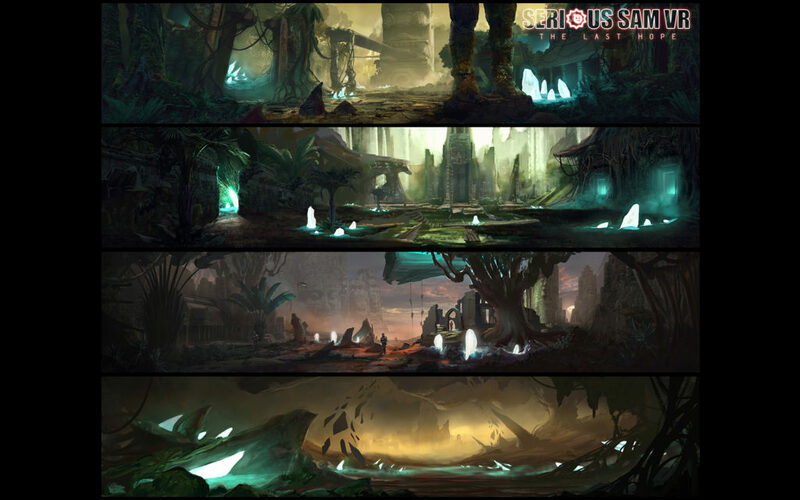 It will be a few levels, and it likely won’t have the whole progression functionality in it’s Early Access form. We’ll add more levels and features as we wrap them up, until we have a number we’re happy with. There is no precise number of levels once we say it’s ‘complete’, but it will almost certainly be more than double the starting number of levels. CAN I MOVE IN THIS GAME? The game will be room scale in the sense that you can walk all over your entire playspace, which will allow you to dodge projectiles or change your position in relation to enemies a bit. Moving around a lot won’t be that important for the core gameplay experience, otherwise the game wouldn’t work well with small playspaces, so it will more often than not be easier or faster to just shoot the incoming projectiles. Because we tried them all, and not one stood up from the crowd. Trust us, this is probably the best thing regarding such games at this very moment, and we expect it to totally rock once it’s out on Steam Early Access this summer. HTC VIVE? OCULUS? PLAYSTATION VR? So far we have integrated support for HTC Vive and Oculus into an early build, and we have support from both companies. The game requires tracked controllers though, and it won’t be available to play without them, so keep that in mind. We are also seeing great support from great guys at Sony who are interested in bringing this title to PlayStation 4 as well, so things are looking bright! 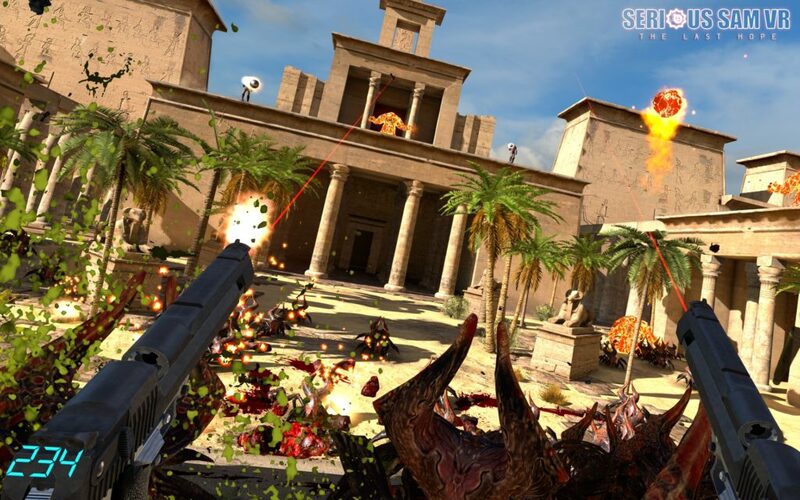 Stay tuned for more news on Serious Sam VR as our boys and girls on the field are getting ready to answer some serious questions from the press, and enjoy these screenshots which honestly, still don’t do justice to experiencing it with a headset!